Did you know that Aquality Plumbing & Heating Vans are equipped with Granola Bars to help people we come across throughout our days on the roads? If an Aquality Tech sees someone in need, they offer a Granola Bar from their van. It is that simple, as we have all been through hard times in our lives, and offering loving kindness with a healthy snack is a small step in being a part of our community here in Calgary. Growing up I recall seeing people at stop lights and watching as almost nobody would roll their window down, to the point where they look down or away so they wouldn’t make eye contact with the person outside. It hit me hard in the winter growing up in Winnipeg. There were people who would roll their windows down, those few would offer money in most cases. I recall listening to my Dad frustrated by the fact, these people would most likely use the money for drugs or abuse in someway, and giving money was not going to help most of the people looking into the cars. In the past couple years, I know many people who have lost their jobs due to poor economy and the struggles in the oil industry. Some of them who were six figure salaries, could easily have lost their homes, family, and been on the street. They were not necessarily the stereotype I was taught. In fact, even the people from my childhood may not have been the stereotype many of us place. It simply isn’t fair or just to ever assume anything about another person. And if there is truth to what my father had said, then we are not helping some of these people by giving money, as we are feeding a habit I would not condone. And in that statement was the answer for me, “Feeding” was the key. We all need food, no matter what, in good times and bad, we all need nourishment. So after some pondering, and the next time I was at Southland and Macleod, I rolled down my window for the first time in my life. I said Hello, and offered up a smile, one that I hope projected hope. And then I received the warmest smile back from a fellow human being. I then looked in my truck and found a Granola Bar I had, and gave it to the man. He lit up with excitement, and was more grateful than most people I meet daily. Selfishly, I felt amazing, as perhaps there is no true act of selflessness. I also felt that this feeling should be felt by others and I started by explaining to my kids what had happened. This led to weeks of my kids loading up a special bag that lives in my truck, and being on the lookout for people in need. 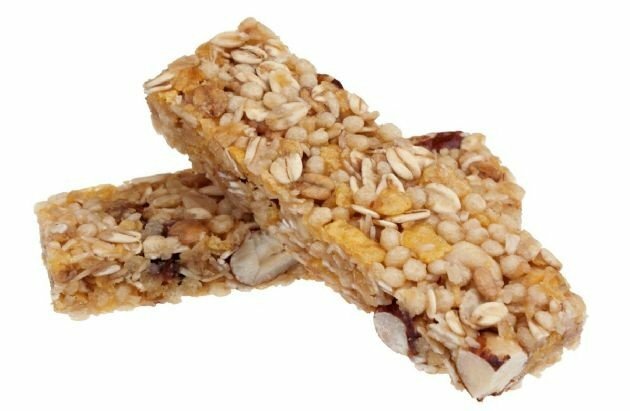 And if traffic allows, we give out Granola Bars to those who are needing a little something, and even more important we do it with a big smile to offer hope. Once you do something that feels good and right I believe you have to spread the word. So I did that with my kids, and then I started the program with all the Aquality Vans about 5 months ago. Now I am telling you. So whether you join our family and use our services, or already have for years, consider giving to those people on our streets, even if it is just a granola bar with a smile. David and team, you are the best!!! Thanks for the inspiration. Will pick up a box next time I’m at Co-op. Everything about you is A-QUALITY above and beyond. So true what a man with vision. Teaching right from wrong. Great article.